These perfect fish cakes and the jalapeno remoulade are one of my favorite party appetizers or big game spread. When you think of tailgates, chicken wings and burgers come to mind but I wanted to create something different that is as flavorful and tasty but also light and healthy. These fish cakes are also gluten-free even though I used breading for them. See the recipe below for more details. The Big Game is coming up soon, so if you are looking for a great homegating recipe to add to your table spread, this is it! These fish cakes and jalapeno remoulade make great finger food for entertaining friends. And that creamy jalapeno remoulade is so dreamy and pairs wonderfully with the fish cakes. It’s the perfect spicy and zesty sauce for the tuna patties. It has a nice kick to it but it’s not overly spicy. I made it so that it is a little bit spicy, but doesn’t blow your mouth away! 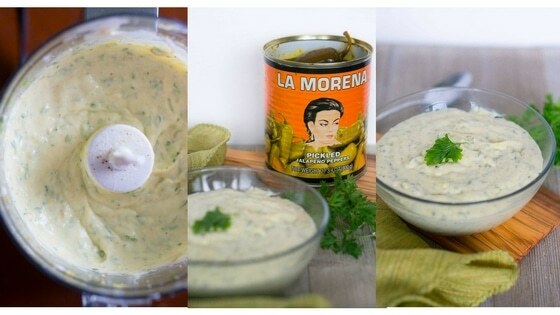 I used LA MORENA® Whole Jalapeños- 28 oz can in the remoulade sauce and loved the flavor so much. Incredibly flavorful, these are the ultimate football watching food. Football season wouldn’t be the same without homegating and all the delicious food you get to try. Do you agree with me that homegating is the best part of football season? I love the fun atmosphere and hanging out with friends and family. 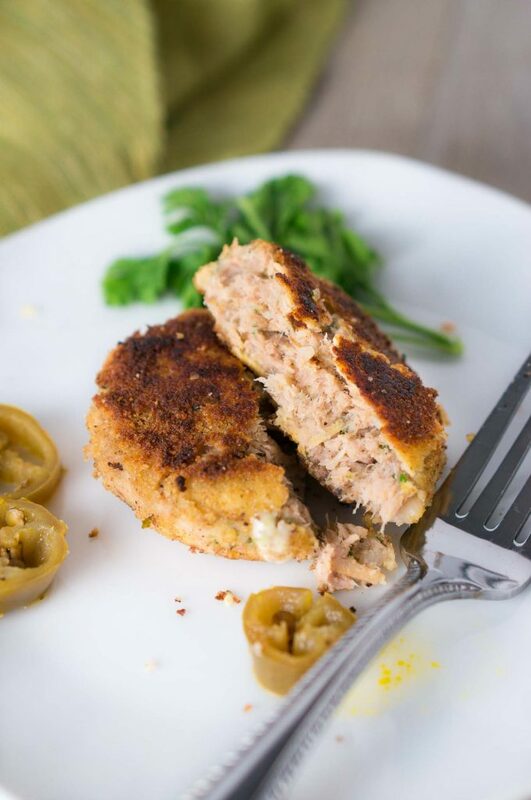 These fish patties are perfect for game watching, they feed a crowd (the recipe makes about 14-16 patties depending on their size), and your guests will be begging for seconds. 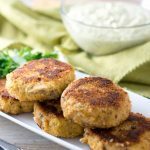 These fish cakes with jalapeno remoulade are great to make ahead and refrigerate for several days. You can saute them in the skillet just before the party. Serve them on a long platter or plate, and add some greens like parsley. This is a great appetizer to bring to a homegating party! Before I tell you more about these perfect fish cakes, be sure to enter some of the awesome sweepstakes from today’s sponsor – LA MORENA®. You could win a flat screen TV, Apple TV, cash and more. Don’t miss this opportunity! 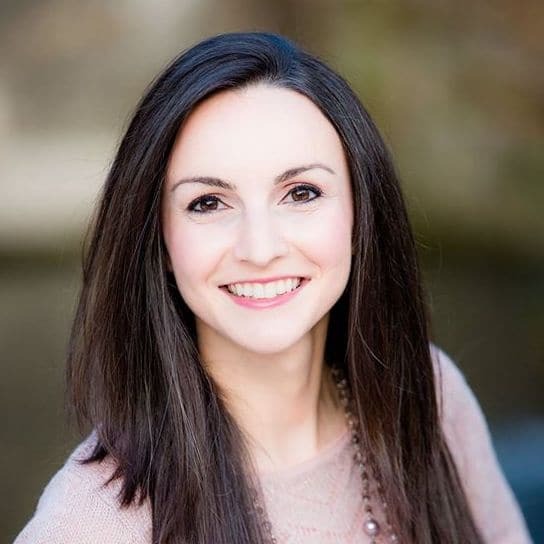 I hope one of my readers wins! LA MORENA® is a trusted premium brand that offers authentic Mexican products and has been providing us with highest quality products for over 35 years. No wonder they are the leader in chiles and peppers. 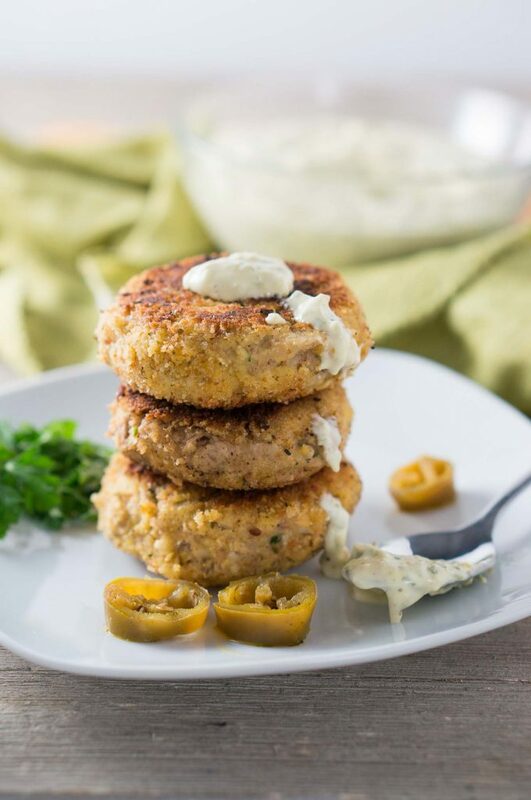 I love their delicious and flavorful peppers, that’s why I used their jalapeno peppers to make the jalapeno remoulade sauce that complements these fish cakes perfectly. If you want to achieve the taste of the authentic Mexican recipes, you want to be sure you are using LA MORENA® quality peppers. The jalapeno peppers are what make this remoulade sauce stand out! You can find all LA MORENA® products in the Hispanic aisle at your local Walmart. You can find more delicious recipes over on the LA MORENA® website. Check them out and let me know your favorite! 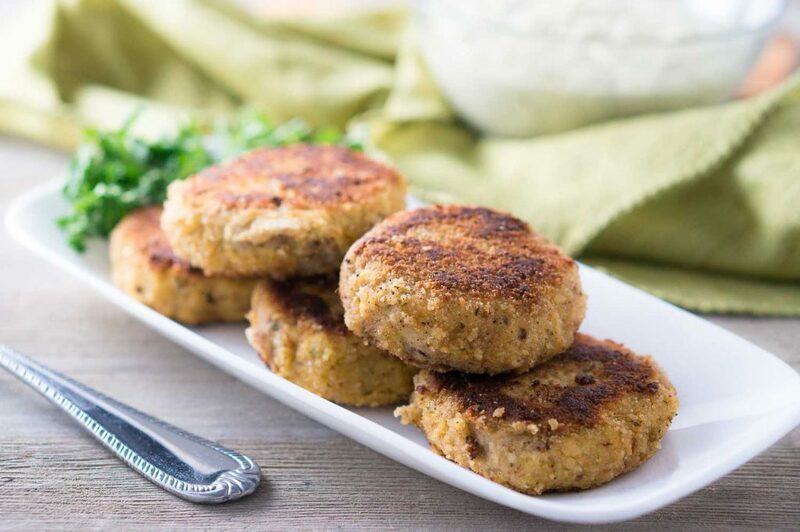 If you are tired of making fish patties that fall apart and don’t hold up their shape, the following tips will help you create the perfect fish cakes. The fish cakes are golden brown and crisp on the outside, and soft inside. Today, I am sharing with you a fool-proof recipe for perfect fish cakes that are also very flavorful and delicious. They are easy to make and are great to make with leftover mashed potatoes. Use mashed potatoes & an egg as a binder. No flour is necessary to hold the fish patties together. I have found that flour tends to make the patties dry and fall apart. The starch in the potatoes is the perfect binder for these fish cakes. Don’t make them too soggy. Break up the fish and drain any liquid using a paper towel. Use a measuring cup to measure each fish cake. To create perfectly shaped fish cakes, use a measuring cup. I used 1/3 cup – it was a perfect size. I rolled each fish pattie into a small ball and then flattened it between the palms of my hands. Use breading. Dredge each fish cake in coconut flour, then dip in a bowl with a beaten egg, and finally, dredge it in gluten-free Italian breadcrumbs (or almond flour mixed with Italian seasoning). Let fish cakes chill & firm before you fry them. Place them in the refrigerator for at least 1 hour. Cook on medium heat in a non-stick skillet. You don’t want to cook the fish cakes on high heat because they will burn quickly. For perfect golden brown fish cakes, fry at a medium heat for about 3-4 minutes on each side. Don’t overcrowd the pan. Cook fish cakes in batches. I cooked all 14 fish cakes in 3 batches – about 4-5 cakes per batch depending on your pan. Add oil to the pan with each batch. If you notice there is not enough oil in the skillet, add some more oil if necessary. Place cooked fish cakes on a paper towel-lined plate. The paper towel will absorb any excess of oil, otherwise, they will be too greasy. Tell me, what is the secret of your fish cakes? These perfect fish cakes are crispy on the outside and soft inside. They are cooked to golden brown and pair wonderfully with the jalapeno remoulade. Drain tuna fish and using a paper towel squeeze the fish to remove any liquid. Mix tuna fish, mashed potatoes, cooked onion, parmesan cheese, lemon zest, lemon juice, parsley, green onions, salt and freshly ground pepper. Before adding the egg, taste the fish mixture and season with more salt and pepper, if necessary. Add egg and mix well. Using a 1/3 cup measuring cup, scoop some fish mixture. Roll each fish patty into a ball and flatten between the palms of your hands, forming a fish cake. Dredge each fish cake in coconut flour first, then dip in beaten eggs, and dredge in gluten-free Italian bread crumbs. Place on a foil lined baking sheet and chill in the fridge for at least an hour. Heat oil in a large non-stick skillet over medium heat. Add 4-5 fish cakes at a time and cook for about 3-4 minutes on each side. Continue cooking the remaining fish cakes in batches. Transfer cooked fish cakes to a paper towel-lined plate. Add all ingredients to a food processor and mix until everything is well mixed. Fish cakes + yalapeno mayo? I’m in! These look gorgeous. A perfect weeknight dinner! Love that pop of spicy jalapeno! These look soooo good, and I’m loving your kicked-up twist on remoulade. Perfect game day eats! I’m a fish anything guy so you know that I’m going to try these tempting beauties with that lovely sauce! 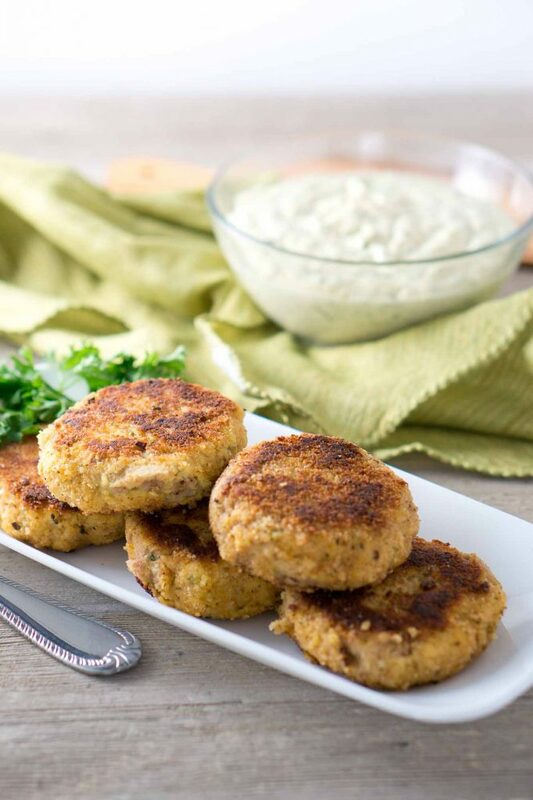 I def love the idea of making fish cakes for a healthy, easy weeknight meal. Great flavors!